A service provider can decide to offer only replication services, or to extend existing backup services by adding replication. This is the scenario we will show in this guide. 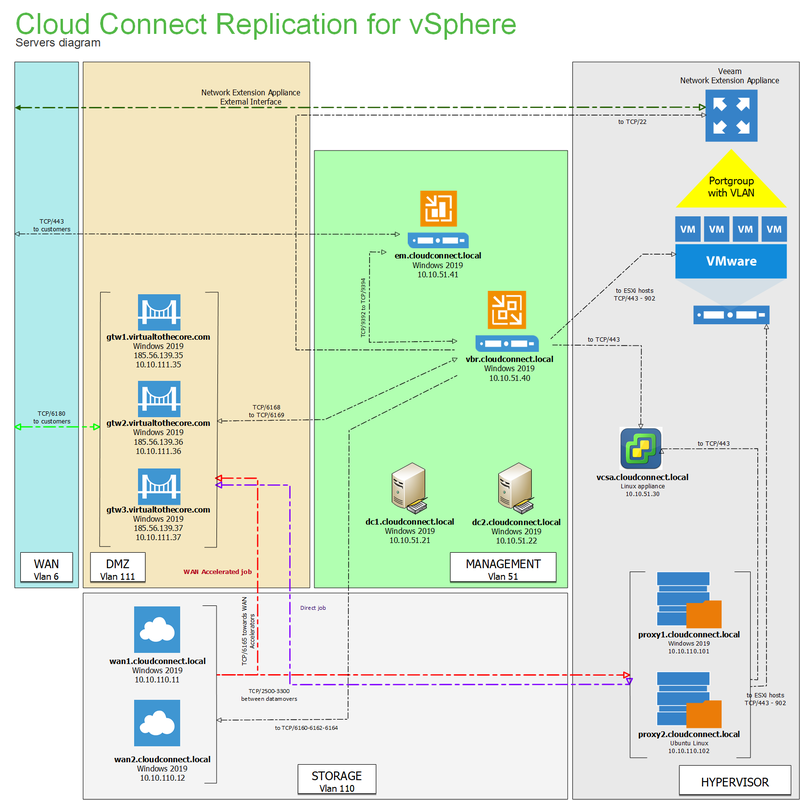 For this reason, the starting point of the architecture of Veeam Cloud Connect Replication is the one described in Chapter 3, related to Backups. Here, we will add the additional components needed to realize the Replication service. Again, this book will start from the design of the overall infrastructure. 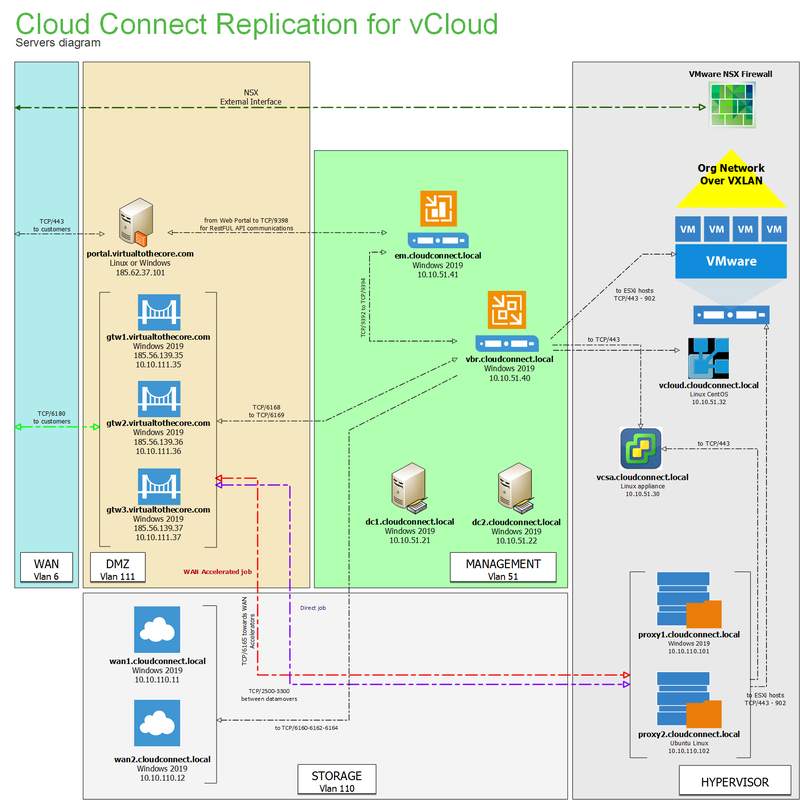 This is paramount in order to better understand the relationships between the different components of Veeam Cloud Connect, network ports and services, and how they communicate between each other. So, the first activity is the creation of the following network diagram. 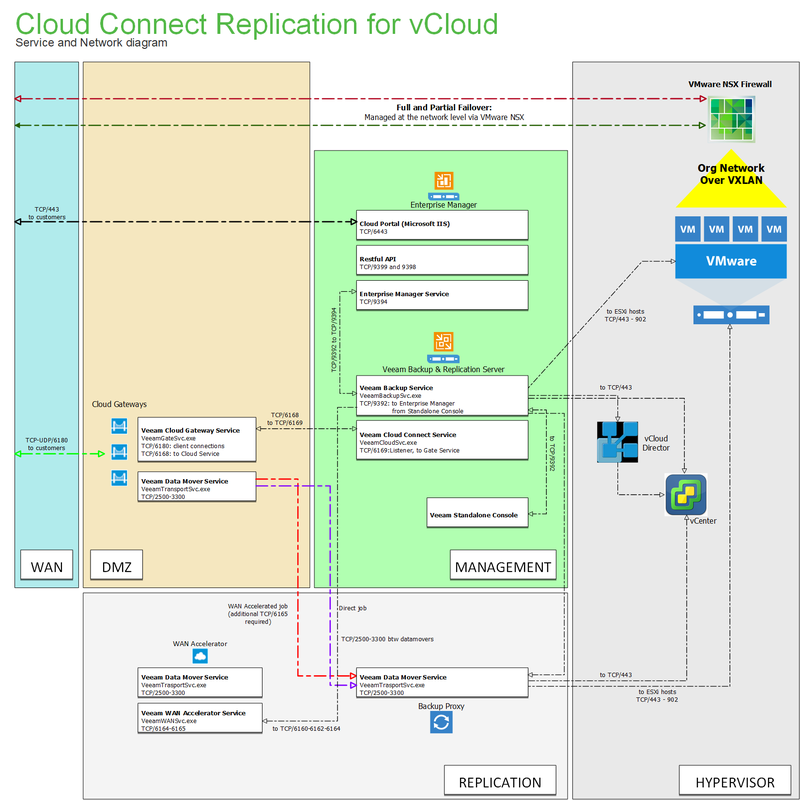 This diagram is specifically about Veeam Cloud Connect Replication, but it shares different components with backup services. 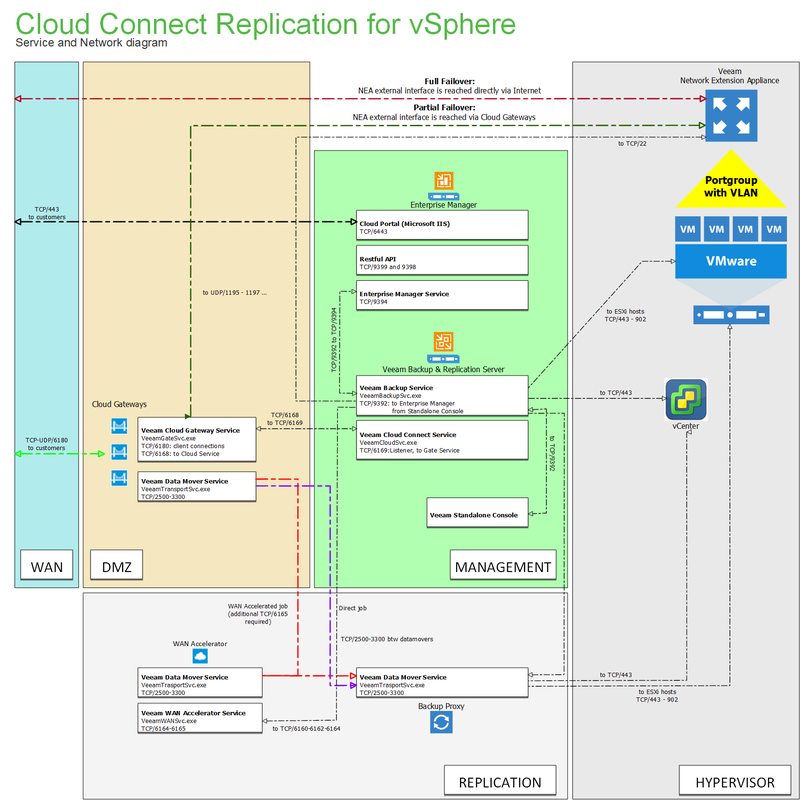 You may notice that vSphere and vCloud Director designs are pretty similar; migrating from one to the other or even offering both at the same time should not be a problem.